Please find below details for planned despatch of orders over the Christmas period. If you wish to make alternative arrangements, cancel or change your order during this period, please let us know by latest Monday 10 December. Orders due delivery this week will be despatched as normal. All orders due this week will be despatched on Monday 17 and Tuesday 18 December. All orders due this week will be despatched on Wednesday 19 December. TCS Biosciences Ltd I would like to wish you a Merry Christmas and a Happy New Year. Our offices will close at 5pm on Thursday 21 December until 8.30am on Wednesday 27 December and will close again from 5pm Thursday 28 December until 8.30am on Tuesday 2 January. Thank you for your custom and support during this year. On behalf of everyone at TCS Biosciences Ltd, Merry Christmas and a Happy New Year. If you wish to make alternative arrangements, or cancel or change your order during this period, please let us know by latest Thursday 8 December. All orders due this week will be despatched on Monday 19 and Tuesday 20 December. All orders due this week will be despatched on Wednesday 21 December. Please note if your amendment is not received by the requested time we may not be able to meet your requirement. Normal deliveries will resume from Tuesday 3 January 2017. Our offices will close at 5pm on Thursday 22nd December until 8.30am on Wednesday 28 December and will close again from 5pm Thursday 29 December until 8.30am on Tuesday 3 January. Thank you for your custom and support during this year. On behalf of everyone at TCS Biosciences Ltd I would like to wish you a Merry Christmas and a Happy New Year. If you wish to make alternative arrangements, or cancel or change your order during this period, please let us know by latest Wednesday 9 December. All orders due delivery this week will be despatched on Monday 14 December. All orders due this week will be despatched on Monday 21 and Tuesday 22 December. All orders due this week will be despatched on Tuesday 29 December. Normal deliveries will resume from Monday 4 January 2016. Our offices will close at 5pm on Wednesday 23 December until 8.30am on Tuesday 29 December and will close again from 5pm Wednesday 30 December until 8.30am on Monday 4 January. Thank you for your custom and support during this year. On behalf of everyone at TCS Biosciences Ltd. We would like to wish you a Merry Christmas and a Happy New Year. Please note that the storage requirement for MM08 Legionella pneumophila serogroup 1 has changed. We now recommend storage at -30 to -15°C. We are pleased to inform you that we are working with a new producer of small animal blood products. We collaborated with a number of laboratories over the past year to carry out evaluation of the new supply and we are confident that you will see no difference in performance of the products. The new products will be supplied from 1st May 2015. If you have any concerns or would like to discuss this matter please contact our Customer Service team on +44 (0) 1296 714222 or via sales@tcsgroup.co.uk. Please note we are closed on the 3rd April and the 6th April for the Easter bank holiday. Any orders due to go out on the following dates; 6th April/7th April/8th April will be shipped a day later. If you have any problems please do not hesitate to contact our Customer Service Team on +44 (0) 1296 714222. Thank you to everyone who entered our customer survey competition for the Samsung Tablet. We would like to congratulate Henry Mather from Scottish Microbiology Reference Laboratory on winning the prize! For your chance to enter our new prize draw for a Samsung WB30F Smart Camera please click here and complete our on-line survey. 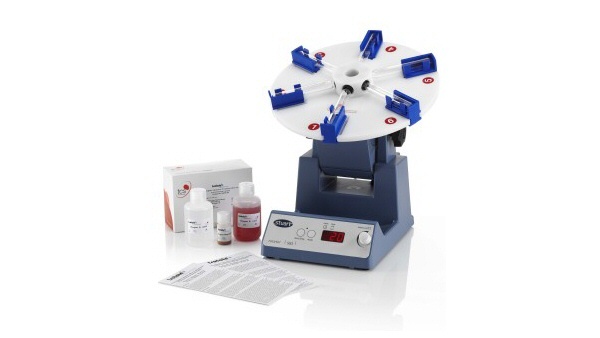 Selectrol® Neisseria gonorrhoeae strains containing 10 freeze-dried discs have occasionally shown reduced viability by the time the last discs in a vial are used. This is due to the effect of the repeated thawing and freezing cycles to which the product is subjected during use, which can damage the cells of Neisseria gonorrhoeae to a greater extent than occurs with less fastidious bacteria. To counteract this problem, Selectrol® products MM05 and MM96 will no longer be supplied in 10-disc format, but will be available in a new 5-disc format, with product codes MM05-5 and MM96-5 respectively. The 5-disc format will ensure that the last disc used contains sufficient viable bacteria to produce adequate growth when cultured. If you have any questions regarding the new pack size, please contact our Customer Service team. If you wish to make alternative arrangements, or cancel or change your order during this period, please let us know by Tuesday 2 December. 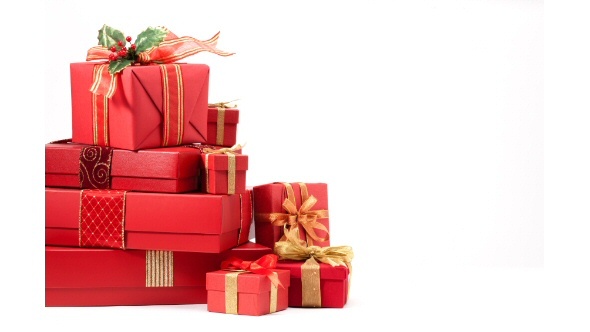 All orders due delivery this week will be despatched on Monday 15 December. All orders due this week will be despatched on Tuesday 16 and Wednesday 17 December. All orders due this week will be despatched on Wednesday 17 and Thursday 18 December. 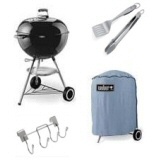 Thank you to everyone who entered our customer survey competition for the BBQ. We would like to congratulate Nick Humphries from Anglian Water on winning the prize! 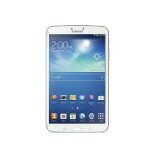 For your chance to enter our new prize draw for a Samsung Tablet please click here and complete our online survey. Thank you to everyone who entered our spot the ball competition at the Microbe exhibition. We would like to congratulate Ruth Parry from Luton and Dunstable Hospital on guessing where the ball was! The image reveals where the football is - it was square L5! We have discontinued CA5 VDRL Carbon Particle Antigen and CA100 VDRL Carbon Particle Antigen from our product range. 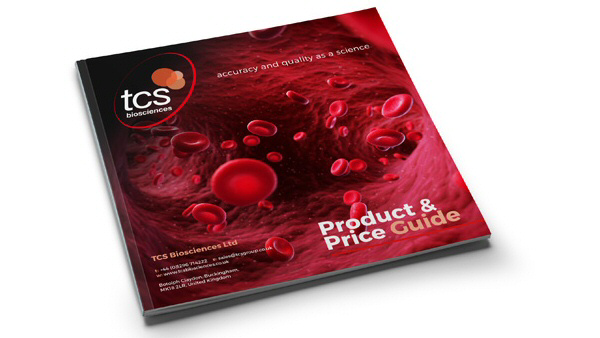 For more information or price enquires please contact Customer Services on sales@tcsgroup.co.uk or 01296 714222. 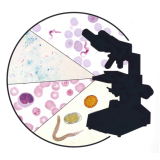 Click here to see more information about the Tropical Medicine Microscopy Magazine, our dyes and stains are mentioned on pages 28 & 29. 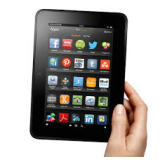 Thank you to everyone who entered our customer survey competition for the Kindle Fire. We would like to congratulate Helen McDonald from Cherwell Laboratories Ltd on winning the prize! For your chance to enter our new prize draw for a BBQ please click here and complete our online survey. We are pleased to announce our partnership with Atlas Biologicals. We are now able to offer US origin Fetal Bovine and New Born Calf Serum. Atlas has been a leading manufacturer of US origin Fetal Bovine Serum and New Born Calf Serum for over 20 years. 100% of the serum is collected from cattle raised in the United States, making their products true US origin. We are pleased to announce a new product configuration for this product. 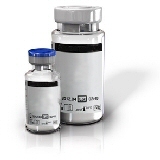 Rabbit Coagulase Plasma now comes as a pack containing 4 x 3ml screw-capped vials. The new product code is CP4X3. Four vials are presented in a clam-shell packaging that provides a robust, shock-proof case. The clam-shell design closes securely, housing each vial snuggly in an individual cell. In the unlikely event of breakage the product will be safely contained by the packaging. Please note that we have now discontinued product code CP6X3 (6 x 3ml pack) from our range. If you have any questions regarding this change please contact our Customer Services team. "Quality matters: an update from the culture collection"
The National Collection of Type Cultures consists of historical and modern, type and reference strains of bacteria of clinical relevance. In the article Julie E Russell provides an overview of a vital microbiological resource. Please note the last shipment of the above products will be made to you week commencing 16 December. Deliveries will re-start week commencing 6 January 2014 and despatch will be will be made on Tuesday 7 January. 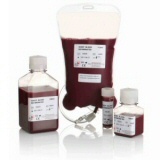 We will send you a single shipment of blood on Tuesday 17 December unless otherwise requested by you. Please contact us no later than Tuesday 10 December to inform us of any changes to your requirements for weeks commencing 23/12, 30/12 and 6/1/2014. Thank you to everyone who entered the buzz wire competition at the IBMS Congress. We would like to congratulate Michael Wallis of Ipswich Hospital on winning the Kindle Fire! We have produced a new video explaining the Isolate® procedure. » Click here to view the new Isolate® video. Isolate® offers unique, semi automated immunomagnetic separation (IMS) of Cryptosporidium oocysts in environmental water samples. The unique automation of the test standardises the rocking motion, resulting in improved consistency and reliability of results. Isolate® yields increased recoveries of oocysts and produces good results even when using dirty water samples. We are pleased to announce that as part of our programme of continuous improvement, from September 2013 there will be some changes to the way that we identify and label Selectrol® products. The key changes are to the format of the product code and lot number. We will also incorporate a barcode which includes all the necessary information for our systems. Selectrol® certificates will contain the new product code and lot number from September 2013 also. The Selectrol® product remains unchanged. It is a still a convenient source of viable micro-organisms which can be used for a variety of quality control and testing applications, manufactured under licence from Public Health England. Selectrol® discs are manufactured exclusively from NCTC® (National Collection of Type Cultures) and NCPF® (National Collection of Pathogenic Fungi) and are guaranteed first generation derivatives from the source strain. If you have any questions regarding the new labels please contact our Customer Service team. The purpose of this is to inform you of a change to the bags we supply to you containing blood products. Currently, there is a sub-assembly in the bag that filters any particulate material from the blood. The filter consists of a 4 inch tube and a foam attachment. This sub-assembly will be replaced with one made from the same raw materials, but with a longer tube length (4.5 inches). The longer tube has been assessed by TCS Biosciences Ltd and we have determined that the change will not affect the filtration of the blood. This change will be made over the period July to September 2013. If you have any questions or concerns, please call +44 (0) 1296 714222. As an environmentally responsible company, TCS is working towards the ISO 14001 Environmental Management Standard. We have reviewed our use of packaging and are pleased to announce a new packaging system for Selectrol®. This will come into use from February 2013. The new clam shell packaging reduces the packing content by over 50%, while retaining UN3373 compliance. The new packaging provides a robust, shock-proof case that grips the vials. The clam shell design closes securely, housing each vial in an individual cell. In the unlikely event of breakage the product will be safely contained by the packaging. 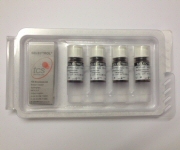 Currently, we provide literature inserts with every vial of product. However, as the inserts are not strain-specific, we will now provide one insert per package (1 to 4 vials). This reduces our paper usage while still providing the information you need. If you have any questions regarding the new packaging please contact our Customer Service team. 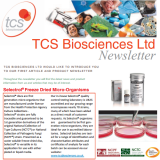 TCS Biosciences Ltd would like to introduce you to our first article and product newsletter, please click here to view. 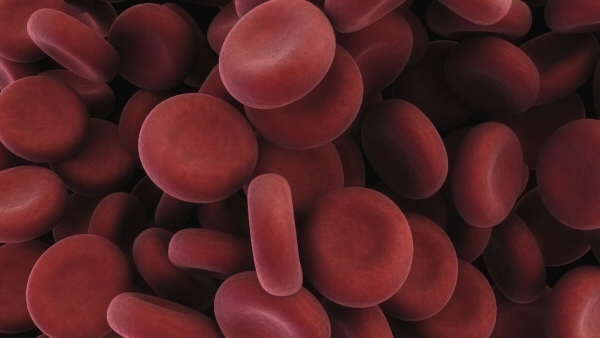 Horse blood and sheep blood, defibrinated, lysed or in anticoagulants. TCS Biosciences Ltd will no longer be packaging the 25ml, 100ml and 500ml blood bottles into clear plastic bags. TCS aims to attain the ISO 14001 environmental management standard by April 2013. In line with this standard we have reviewed our impact on the environment, including an assessment of our approach to packaging, and have concluded that the clear plastic bags are not necessary. If this change will cause you any difficulties or concerns, please contact us immediately. Thank you to everyone who entered the competition for the Hotel Chocolat Goody Bag. We would like to congratulate Alison Summers from The Sunlight Service Group and Helen McDonald from Cherwell Laboratories on winning the prizes! Please look out for more competitions from TCS in the future. Dyes and Stains (Wet) Bottle Change from the Nolato Jaycare Natural 1 Litre HDPE to the Thermo Scientific Nalgene® Natural 1 Litre HDPE bottle and closure. As a result of continued closure issues with our current supply of 1 Litre HDPE Bottles, TCS Biosciences Ltd has taken immediate steps to change to the Thermo Scientific Nalgene® Natural 1 Litre HDPE Narrow-Mouth bottle and closure. Thermo Scientific Nalgene® HDPE Narrow-Mouth Sterile Bottles provide excellent chemical resistance. Bottles are manufactured and packed in a controlled environment to minimize biological and particulate contamination. Compliance: Manufactured in compliance with ISO 13485:2003 quality requirements. Bottles and Closures meet the requirements of 21CFR177.1520 for food and beverage use, USP Class VI. † The term "leakproof" applies to Thermo Scientific Nalgene products that meet the following criteria: a) Bottle/flask/funnel closure systems with closures smaller than 100mm, after they are filled with water, inverted, withstand air pressure of 2psig for 2 minutes, and no water escapes;. b) Bottle/funnel/flask closure systems of larger than 100mm after they are filled with water, inverted for 15 minutes, and no water escapes. Note: these tests, using other liquids, may not yield the same results. To ensure safe usage, customers are advised to test Thermo Scientific Nalgene bottles and closures under conditions of their planned applications. Thermo Scientific Nalgene products are leakproof at ambient temperature and pressure when used with their Nalgene closures. New website feature for 2012! We are pleased to announce that prices are now available on our website. Select the catalogue tab, then select the product category of interest. From May 2012 we will be issuing Selectrol traceability information back to the source NCTC®/NCPF® batch number. We have always held this information on file for customer reference, but now we are including it on our certificate of testing. 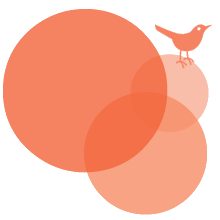 This way, you get ready access to traceability information whenever you need it. NCTC® and NCPF® are trademarks of the Health Protection Agency. 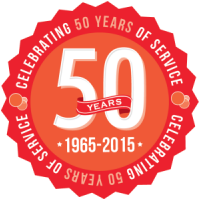 Thank you to everyone who filled in the survey which entered you into the competition to win £50.00 High Street Vouchers. We would like to congratulate Nick Humphreys from Anglian Water Services Limited on winning the vouchers! Please see below the product information update for MM83. Indicator strain E. coli NCTC® 12241 / ATCC® 25922, currently used in the Modified Hodge Test for the detection of Klebsiella pneumoniae carbapenemase (KPC) and metallo-beta-lactamase (MBL)-producing Enterobacteriaceae, is not optimal for testing Pseudomonas aeruginosa strains, due to inhibition of the background lawn of the indicator strain by many test strains, leading to equivocal or indeterminate results and poor repeatability. 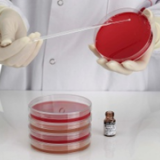 Attempts to improve performance by substituting the E. coli indicator strain with Pseudomonas aeruginosa NCTC® 12903 / ATCC® 27853 produces similarly poor performance – low sensitivity, low specificity and a high number of equivocal or indeterminate results. If Klebsiella pneumoniae NCTC® 13368 / ATCC® 700603 (Selectrol strain MM83) is used as the indicator strain, indeterminate results are eliminated and sensitivity and specificity increased to 100% and 98% respectively. The test also shows 100% repeatability. Making this change of indicator organism should result in improved detection of Pseudomonas aeruginosa isolates suspected of producing carbapenemases, including currently circulating KPCs and carbapenem susceptible MBLs. The recommendation is that the test should be used to screen all ceftazidime-resistant strains of Pseudomonas aeruginosa with meropenem zone sizes of ≤23mm or MICs of ≥1 mg/l, an epidemiological breakpoint suggestive of carbapenemase production. ATCC® strains are listed for reference only. ATCC® is a registered trademark of the American Type Culture Collection. We would like to congratulate Clive Abbott from Southmead Hospital on winning the Goody Bag! TCS Biosciences Ltd has issued a technical guide on the microorganisms available in the Selectrol® range. » Click here to view and/or download a copy of the document. Please click here to see the changes to our product availability. Further to our announcement in July 2010, we are pleased to let you know that our planned transition from glass to plastic PET media bottles is almost complete. We are now in the final phase of the changeover period, and by the 1st July 2011 all bottled blood products will be supplied in PET media bottles. » Click here to view the products affected. 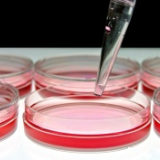 Cellpath Ltd are pleased to announce their collaboration with TCS Biosciences Ltd. Please click here to view the bulletin regarding the recall of individual test devices of OptiMAL-IT (Ref.710024) and IT-Leish (Ref. 710124) kits. As a result of large price fluctuations due to a global shortage of a raw material we are unable to uphold the pricing published in our 2011 Price Addendum for HC5005 Citroclear 5 Litres. Orders received before, 25th March 2011 will supplied at the published price however all orders received after this date will be treated as Price on Application (POA). Quality . . . it's in our blood! On 4th March 2011 new legislation comes into force that will limit or prevent the importation into Europe of equine blood products from the United States. As Europe's leading manufacturer of donor horse blood and serum for over 40 years, we at TCS Biosciences Ltd would like to offer you our help. Our donor herds graze peacefully on our 400 hectare farm, located in the heart of the English countryside. Each horse is screened for viruses and pathogens before admission to our herds, and a unique 'passport' is held for every animal. Our experienced and dedicated team of licence holders and animal handlers work closely with veterinarians to ensure best practice is maintained. Our state-of the-art facilities and procedures are regularly examined by the Home Office and DEFRA. Blood is delivered to our nearby laboratories where it is allocated to blood production for microbiological media or to donor serum production. Serum is processed to pharmaceutical standards, and sterile filtered to 0.1µm. Full traceability from source animal to final product is always maintained. Our commitment to outstanding animal husbandry, first class facilities and stringent control ensures the high quality of our products. TCS Biosciences Ltd is pleased to offer donor horse blood and serum products of the highest quality with complete traceability. We supply defibrinated or anticoagulant equine blood products in a range of volumes from 25ml to multi-litre bags. 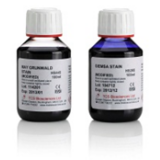 Serum is supplied in 100ml or 500ml bottles, and in volumes to suit almost any requirement. We offer a flexible batch reservation service enabling you to call off quantities at specific intervals to meet your needs. We are pleased to announce our newly designed website. The new site has adopted simple colour schemes for the four sectors of clinical, water, food and news, events and resources. We would like to thank StudioEighty and AnnWebCom for the new design and deployment. Your comments and suggestions are welcome as we aim to make your web experience with us as smooth and efficient as possible. HD Supplies becomes TCS Biosciences Ltd. 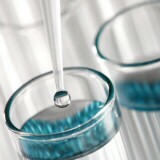 The integration of HD Supplies into TCS Biosciences Ltd will be completed on 1 December 2010. » View the changes that are going to be made (5mB). » HD Supplies Information Page. HS430 Lugol's Iodine 10 x conc. HS485 Methyl Violet 6B 10 x conc. HS565 Neutral Red (Jensen) 10 x conc. HS762 Thiazine Red 10 x conc. HS142 Auramine/Phenol 10 x conc. HS165 Carbol Fuchsin (Gram) 10 x conc. HS220 Crystal Violet 10 x conc. HS307 Gram's Iodine 10 x conc. HS440 Malachite Green 10 x conc. HS505 Methyl Violet 6B 10 x conc. HS175 Carbol Fuchsin (ZN) conc. Following the acquisition of DiaMed by Bio-Rad, please be aware of the following important product changes. OptiMAL-IT and IT Leish will now be presented in packs of 24 individual tests. Please make the following changes to the product codes, descriptions and prices. *These changes will be implemented in July 2010. » To view the article, click here. A recent article has been published comparing Compact Dry™ with ISO methods. Compact Dry™ Plates were shown to be comparable with the reference methods and have been issued certificates of validation by NordVal. » To see the full article, click here. We now have the complete range of EUCAST recommended strains available in our Selectrol range. Please click the link for more information www.tcsbiosciences.co.uk/eucast. We are pleased to announce the addition of Salmonella nottingham NCTC7832 to the Selectrol® range. Salmonella nottingham is recommended by the HPA as the positive control in the detection of Salmonella species. Salmonella nottingham NCTC7832 is now recommended as a result of increased prevalence of the previously recommended Salmonella poona species in food samples. 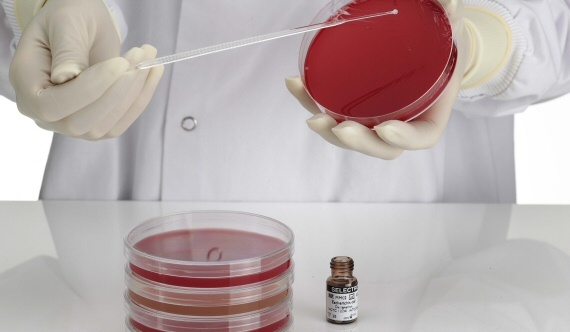 Selectrol® is a convenient source of viable micro-organisms which can be used for a variety of quality control and testing applications that are guaranteed to be a first generation derivative of the original NCTC strain. For more information and full strain listing please click here. Selectrol® batches are tested for a wide range of identification and characterisation attributes in our UKAS accredited testing laboratory, number 2496. A test report for each batch of Selectrol® is available via this website. The reporting of the test results via the web forms part of the UKAS accredited system. Selectrol® discs are manufactured exclusively from NCTC (NATIONAL COLLECTION OF TYPE CULTURES) and NCPF (NATIONAL COLLECTION OF PATHOGENIC FUNGI) cultures and are guaranteed first generation derivatives from the source strain. Small print: NCTC and the National Collection of Type Cultures are trade marks of the Health Protection Agency. Until recently, the manual immunomagnetic separation (IMS) procedure was the only step in the DWI approved Cryptosporidium method which had not been improved. TCS Water Sciences has now developed a semi automated IMS system, Isolate®, based on a kit developed by ImmuCell Corporation, USA. Isolate® is a unique product offering semi automated immunomagnetic separation (IMS) of Cryptosporidium oocysts in environmental water samples. Isolate® is able to process pellets of up to 2 ml in volume, significantly reducing the need for split samples, and yields good recoveries even in dirty water samples. The automation of the Isolate® test standardises the rocking motion, eliminating human error and achieving improved consistency and reliability of results. Cryptosporidium oocysts in the concentrate are captured and separated by magnetic action. Separated oocysts are stained with an approved FITC antibody stain, and visualised by fluorescence microscopy. TCS Water Sciences compliments the Isolate® Cryptosporidium test by offering a range of high quality Cryptosporidium testing products; our expertise in the field of Cryptosporidium enables us to offer you technical support and advice. TCS offers exceptional levels of customer service to ensure you get what you want when you want it. The following table shows the results of a study which compared the Isolate® system with a manual IMS test. Isolate® achieved considerably improved results with increased recovery of Cryptosporidium, and greater consistency, evidenced by the narrower data ranges. The results highlight the sensitivity of the manual method to operator technique and thus the superiority of automation. Percentage recovery of Cryptosporidium from an upland treated water sample. Percentage recovery of Cryptosporidium from a river water sample. New, from Cellabs, Cryptosporidium IFA 15 Minute stain. High-definition monoclonal diagnostic test for rapid detection of Cryptosporidium oocysts in human faecal samples as well as water and sewage samples. Cellabs are specialists in waterborne infections and are pleased to introduce this high performance diagnostic kit which enables the rapid detection of Cryptosporidium oocysts. The monoclonal antibody reacts specifically with the oocyst cell wall to give a clearly defined morphology, making accurate diagnosis possible. No need for revalidation, DWI approved.